I met OUR bubby today. Yevgenia, now 83 years old, has lived a life many of us could not imagine. Born in Moscow in 1934, Yevgenia was evacuated to a nearby Russian village during the Holocaust. After making a life for herself in Lugansk, getting married, getting an education, it didn’t occur to Yevgenia that she would once again find herself on the run. But this time, and nearly 20 years after her husband died, Yevgenia and her daughter were forced to flee due to dangerous operations and violence. The destination? Kiev. After a grueling trip with her daughter, Yevgenia made it to Kiev in 2014 where she has had to once again rebuild her life. There is an undercurrent to this story of which I was aware, but clearly have not appreciated: For the first time since the Holocaust, Jews are once again Internally Displaced Persons (IDPS). Let me say that again so it can sink in. For the first time since World War II, members of our Jewish family carry the label Displaced Persons. Sure they are not running from the Nazi’s, but I’m certain from our conversation with Yevgenia that this experience brought back the trauma and fear she felt in the 1930s. And this time, Yevgenia is not young and mobile. She suffers from various medical ailments including diabetes and is in need of medical care. 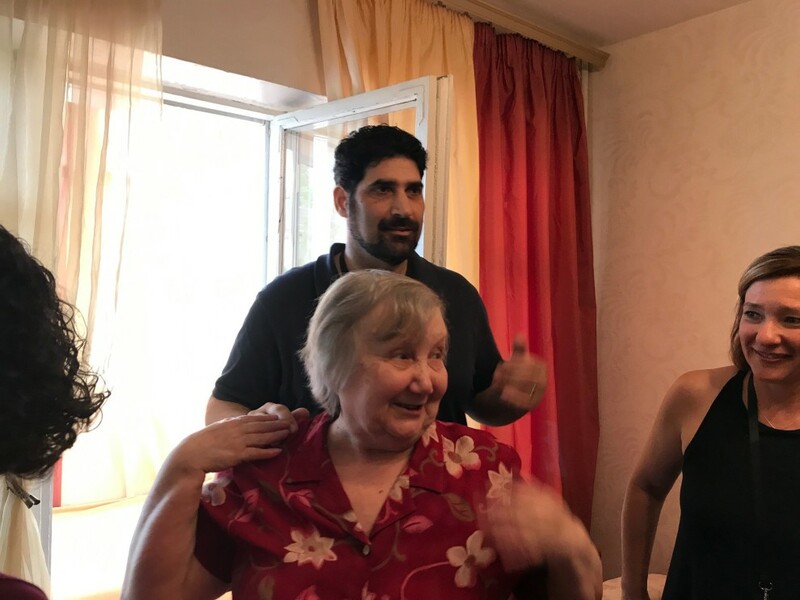 She acknowledged a great deal of gratitude for the HESED program, which has provided her with economic support, social support, and resources that made her evacuation and settlement in Kiev possible. 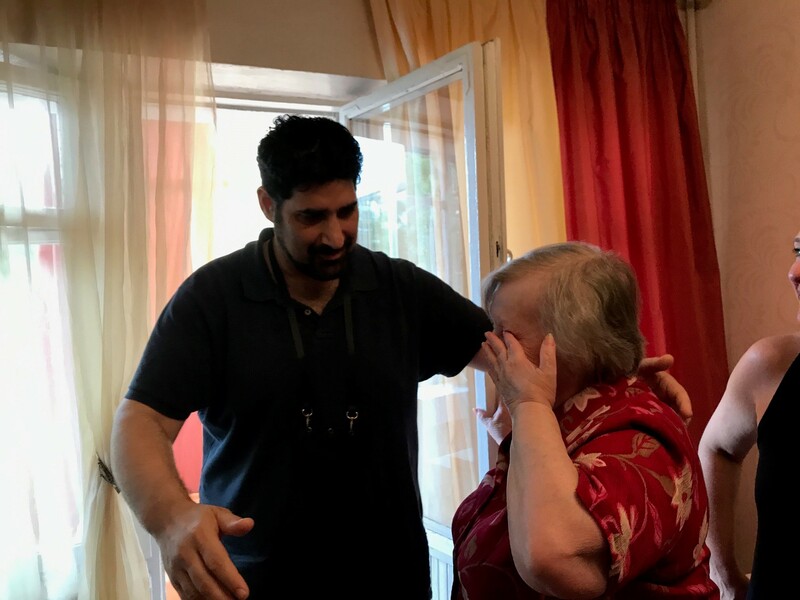 HESED makes it possible for her to pay rent, get medication, and stay connected to members of the Jewish community. She said “I simply would not be here today if it wasn’t for the HESED program”. 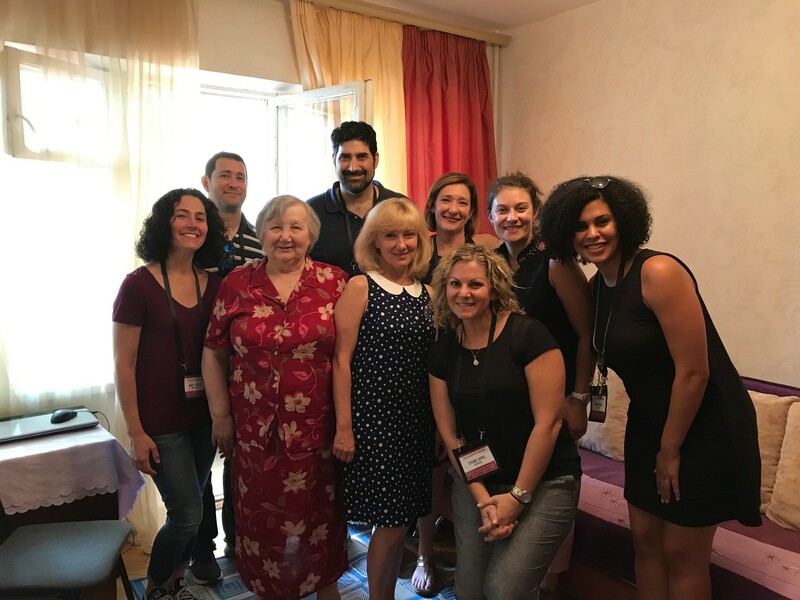 The HESED program is one of many initiatives run and implemented by our Federation partners at the Joint Distribution Committee (JDC), to ensure vulnerable Jews around the world are not alone. I’m so proud that our Federation supports HESED and countless other JDC programs that care for these forgotten Jews. As the Campaign Director, I sometimes feel that we, at home in Portland, forget the impact our dollars are having on women like Yevgenia. We are proud, justifiably so, of the great work we do to build community in Greater Portland. Nearly 6,000 miles away, we are also making a difference. I am humbled to have been reminded today of how our community has made it possible for hundreds (thousands) of women like Yevgenia to find some peace, comfort and stability after a life of unimaginable trauma. Yevgenia reminded me of my own Bubby. She greeted us warmly with a smile and took photos and hugged us as we left her apartment. I will never forget that hug. She told us that we were welcome to come back and visit anytime. And I’m hopeful we will. It’s hard to believe this was just the first day of my Federation trip to Ukraine and Israel. In just 24 hours, I am already profoundly moved and inspired. Over the next week, we will visit more important programs made possible by our community’s support of the incredible work done by our partners at the Jewish Agency for Israel (JAFI) and the JDC. Much of this work is done far from the Willamette Valley, but I hope these reflections will bring closer to home the impact your generosity makes possible for vulnerable people thousands of miles away. They are a part of our family.